Noncompliance with environmental regulations is a fairly common phenomenon in the US, but is not a topic that has received much attention in the economics literature. The emphasis has been on the design of optimal standards or fees for regulating pollution, without discussing whether these are complied with. Given that compliance is imperfect, enforcement of environmental regulations presents itself as a research area with potentially important policy implications. The purpose of this study is to analyze the behavior of, on the one hand, the agency enforcing environmental laws, and, on the other hand, the regulated firms. The enforcer must decide to what degree to enforce environmental standards, while firms must decide whether or not to comply with the regulations they face. 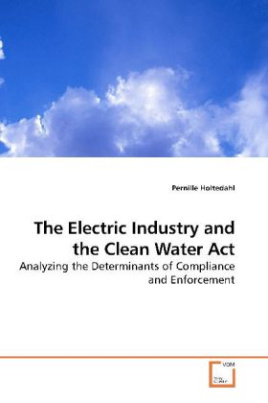 The study is mostly empirical in nature, and uses data on compliance with the Clean Water Act for a number of plants in the electric industry in the US.